Our aims are to promote and encourage the public study of British Family history, genealogy, heraldry, and local history with particular reference to Essex and to promote the preservation, and accessibility of archival material. Donations which help with the work of the Society are always welcome and can be made by clicking below the red box at the top of any page on this site. All our staff are volunteers, we do not have any paid employees. Join our Society and take advantage of our free Essex database search facilities and the special Subscription discount by FindmyPast to new subscribers. Just log in to the Members Only area from the red box at the top of this page. Our database now has well over 1.8 million records and we are adding more all the time. Keep a check on these regular updates. Many records on our database are not yet available on any other web site. We have now added our online Essex Gazetteer into our main Essex Parish database. 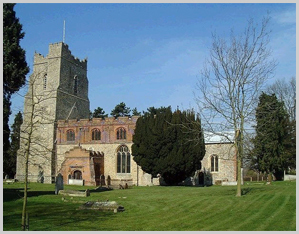 This means that, together with the Church photographs, we now provide the Ordnance Survey National Grid Reference for each parish church and a Google map showing the location of the parish within the County of Essex. In addition each Parish Church page carries details and locations of many of the smaller places within the parish. To view these new features go to the Essex Parish Map and select the parish in which you are interested. Click on the button "Show Church Page" below the thumbnail of the church. You will then be presented with a full page view of your chosen Church. We hope that you will enjoy seeing the church and more information about the parish where your ancestors were baptised, and worshipped, married and were buried. We currently have over 1700 members mostly in the UK but our membership spreads worldwide as shown by the graph which updates for new overseas members as they join. We invite you to join us by clicking on the on the RED bar at the bottom of this page. You can become a member and instantly use all our membership facilities if you pay your membership fees on line using either a credit/debit card (payment will be taken via the Paypal website) or a Paypal account. 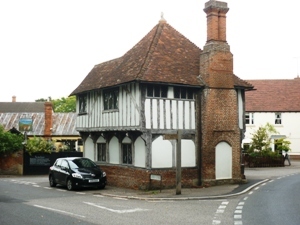 We have our own On-line Shop (select Shop on the black bar at the top of any page on the site) where you will find credit/debit card facilities for the purchase of all CDs published by the Society and also for the purchase of searches of Essex Records and other services provided by the Society. Our full Terms and Conditions may be viewed by following the link from the bottom of each page on the site. Our website includes the Members Only Area which provides access to our collection of Parish Registers and Monumental Inscription transcriptions, an Essex Gazetteer which enables members to find that elusive place in Essex, and an on-line archive of back issues of the Essex Family Historian magazine from the first issue in November 1974. Full details of our coverage of Parish records indexes are available by clicking on the Services button at the head of each page on the site and choosing Church Records List. From our shop you can also order searches of the National Wills index for England and Wales for wills which were proved from 1853 to 1943. The Picture Gallery on the right hand side of this page shows the changing face of Essex each time you log on to the site. If you cannot wait to see the next selection of pictures just update your screen using your F5 key. .
Our Members Surname Interests are available to search on line. Go to the Membership tab on the black bar at the top of any page and select Surname Interests. Members are able to update their own interests on line through the Members Only Area. All visitors to this site can check the most recently added new or amended interests by scrolling to the bottom of the Picture Gallery on the right hand side of this page. We offer members the choice of an electronic version of the latest issue of the Essex Family Historian that is available aa part of our basic membership subscription rate and is fully searchable on line A paper copy of each issue of the magazine is sent to all members paying the full subscription rates. We have local Branches in Colchester, Harlow, Saffron Walden and Southend on Sea as well as at our Headquarters in Chelmsford where we have a Research Centre. Non members are required to pay a small fee for this service. For local news click on the Local Branches tab at the top of any page on the site and select the Branch in which you are interested. We offer advice on researching your family history. Our local branches in Essex offer opportunities to meet others with similar interests and share knowledge and experience in a friendly atmosphere. A list of surname interests recently added to our database by members of the Society, is shown below our Picture Gallery on the right hand side of this page. The data shown is the Surname of interest, the County and the parish. By hovering over the Name with your cursor you will reveal period of interest. The county is shown using the Chapman Codes. Hovering your cursor over the code will show the full name of the County eg MER will be revealed as Merionethshire. If you decide that you would like to contact our member just click on the Name and it will take you to our Search Results page. Go to the relevant item and click on the e-mail icon. Complete your message in the drop down box and then send your message. See also Members Surname Interests above for full details of our Surname Interests facilities. We hope that you make a successful link with others researching the same surname. We attend many Family History Fairs in London and around the Country. Please drop by to our stand. We are always glad to meet other Family Historians who share our love of Family History. For more details of all the above services please follow the individual links by clicking on the black tiles below. Church of St Andrew, Greensted-jixta-Ongar. The oldest wooden church in the world and the oldest wooden building standing in Europe. The nave of this Saxon church is built of logs. Paper Mill Lock on the Chelmer and Blackwater canal looking towards Maldon and the coast. See details of each parish and its geographical location. Also see details for each church in the parish and the number of records held.